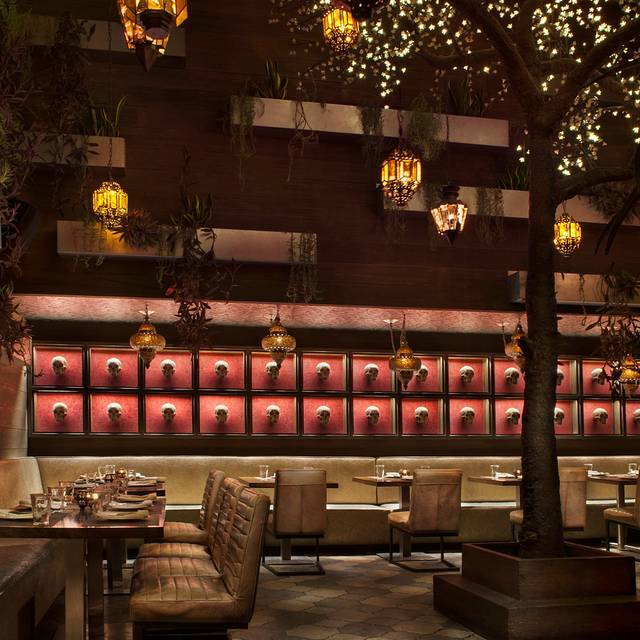 You must make reservations at least 5 minutes in advance of the time at Toca Madera. Public valet parking is available for $12and is provided between the hours of 5pm to 2am. Bring the magic of Toca Madera to your next event! 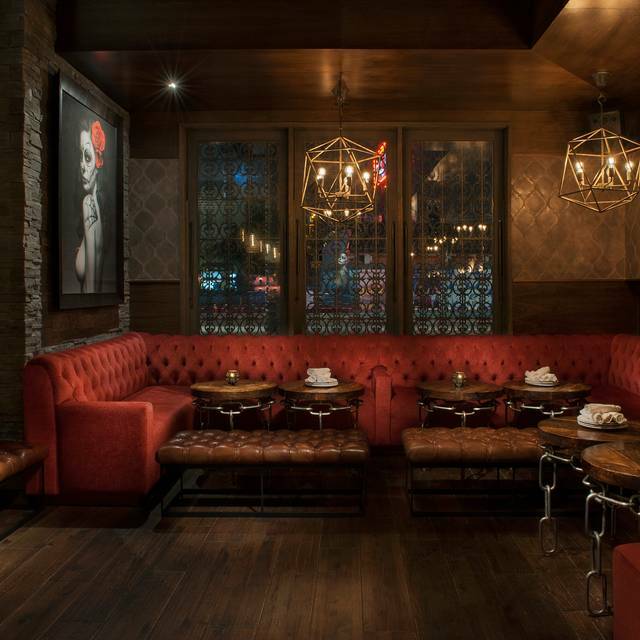 Join us at Toca Madera for a day and night filled with great food, cocktails, and better vibes. Please note, all reservations will be allocated 2 hours once seated. Our server Ryan was phenomenal and so helpful to our group. We enjoyed the food and the entire experience. Thank you! 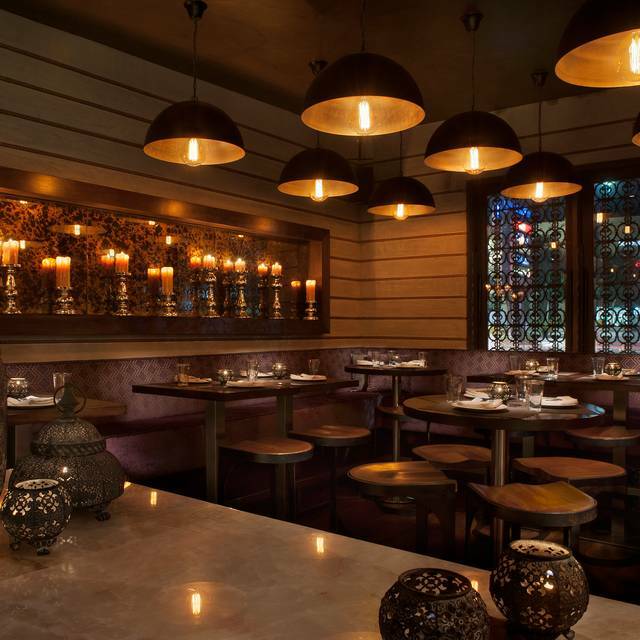 Toca Madera is an upscale and modern Mexican restaurant. Noise level in the lounge is high and I was very relieved when the hostess took us through the lounge to a quieter part of the restaurant. Service is quick and servers are knowledgeable about the menu items. Food is beautifully and artfully presented. It is also delicious! May I specifically recommend the “Street Corn”? I would not hesitate to recommend this restaurant! good food, great service. our server was very knowledgeable and suggested all the drinks that we had..
Food, atmosphere, and service were all outstanding!!! The event coordinator helped me with planning the surprise aspect for my wife’s birthday, which happens to be our wedding anniversary. Very satisfied and will definitely visit again!!! The atmosphere was amazing in the garden. Perfect vibes with perfect food. And the service was over the top! Absolutely love this place! The food, ambiance, everything. Always love coming here. I'd recommend coming for Happy Hour! Amazingggg!!! Love this place every time we are here! Shopping place. Visually lovely but definitely not for the senior crowd or anyone hard of hearing. I had made reservations at 10pm got there 44 before but was not seated till 10:45 very inconvenient it was pointless to make reservations and the girl at the door was so nice I didn’t want to complain to her. Great vibe, great tequila menu and great food. Always a fun time at Toca! Beautiful restaurant. Very Fun! Great food. Great cocktails. Nice happy hour options! Definitely recommend. From the moment I walked in everything was on point! The hosts were very welcoming. Our server Shay (sp?) was so attentive and gave us delicious recommendations. Brandon (I think that was his name) the back waiter was on top of the table tending to our needs. The DJ was fire! The overall experience 100! We went here on a sunday brunch. I couldnt believe the beauty of the place! Even the restrooms were tastefully decorated. Whoever did the interior design should have their name and photo posted in the restaurant. Food was fantastic! Our waiter was very nice and professional. i posted videos and photos of the place and my friends went crazy. i would def come back. The host was super rude! We arrived 15 min late and she said they have a 10 minutes policy so she can not seat us!! She was obviously lying, she gave her table to someone else, maybe people she knows and didn’t have a better explanation to why we don’t have a table! We Will not go there again for sure! Almost ruined out night out, driving there all the way. 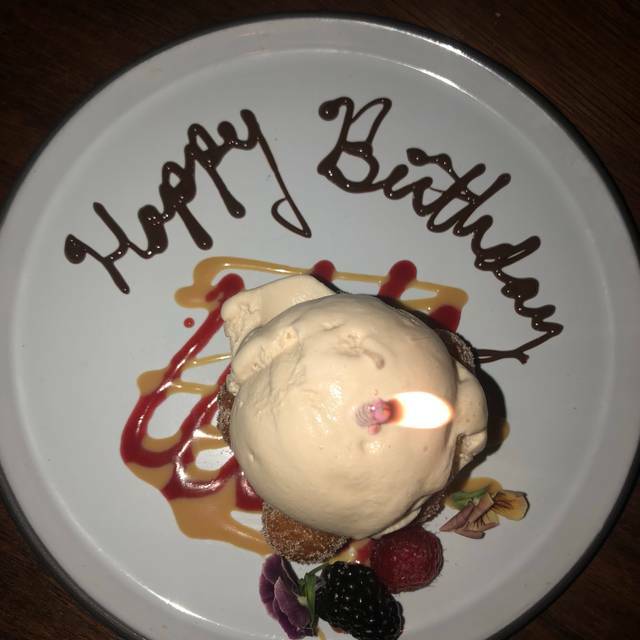 We end up going to Beauty & Essex restaurant and enjoyed great service & food. I made reservations for a party of 8 about a week and a half in advance. We arrived about 20 min early. Not only were we seated 10 min after my reservation time, but we were seated at 3 different tables.... The point of a reservation is to be seated together at the same table. FAIL! Service was excellent, and food I just would of preferred better lighting. Managers were amazing! Our server mark was sooooo much fun! Thank you for the best experience everyone. The place was nice. The food was interesting and tasty and service awesome. We only passed by Taco Madera every time we were on Third St.! We took a chance...and we had a great time. Our 7:30 PM reservation was last minute; it looked empty from the outside, but inside the bar and bar area tables were full an d lively. We then moved into the quieter main dining room, which was quite pleasant. 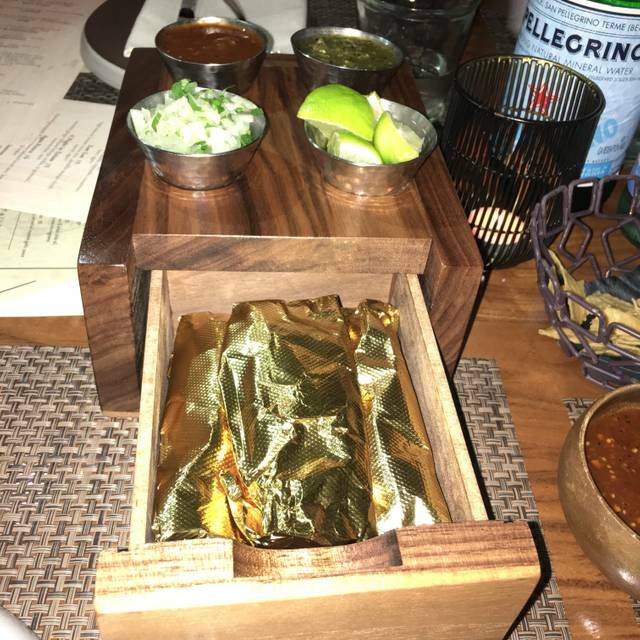 After a little mix-up with waiters, all of whom were very pleasant, we checked the menu with one of them, and ordered things to share : Chicken and fish tacos...delicious... short rib enchiladas...outstanding. The small tacos were plenty and the enchilada, different, not soaking in sauce, was also enough to fill us up! 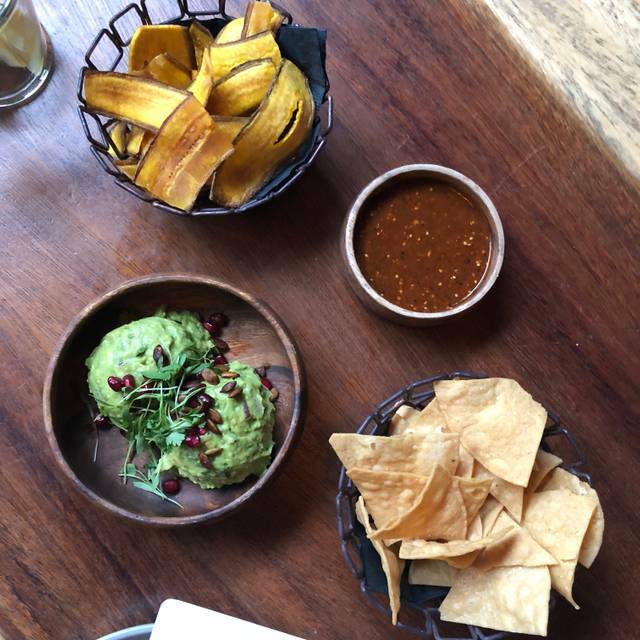 It's organic and unlike any other Mexican restaurant we've tried. The order of food comes out as finished in the kitchen. Everyone was very nice and attentive, though we had to ask a few times for this or that, everyone was helpful and nice. The margaritas were also delicious! A winner! Great late night vibe! Made a res on OpenTable last minute for 11:00p and it was seamless. Great service, food, and drinks. Nice late vibe with music and bar scene. They also have a cool happy hour menu. The ambiance was beautiful. We were late but the staff accommodated our reservation. The drinks were tasty and our food was hot, fresh, and delicious. Customer service was excellent! Loved it!! And loved my server mark ! Stupendous service! & Divine food experience....highly recommend! Toca is one of my fave go to spots in the area! Great music, cool vibe and delicious food. 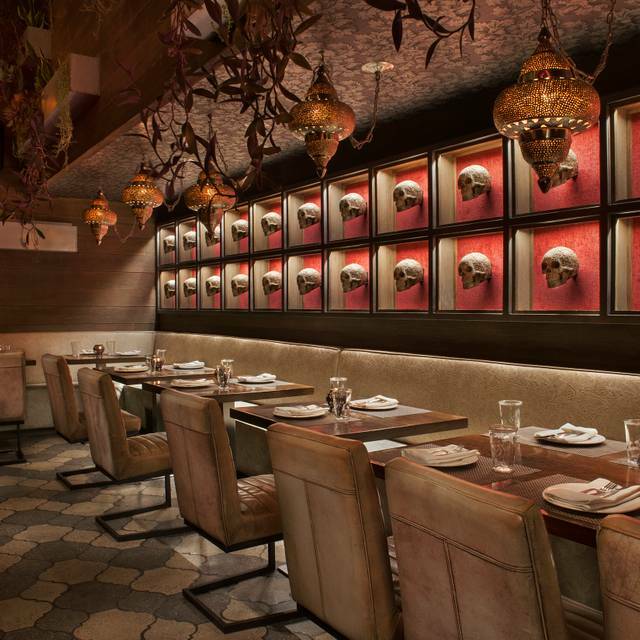 Place is amazing to say the least, great ambiance the decor is incredible and the food and service well simply amazing.. Went to Toca Madera on a whim with an old friend visiting from out of town. It's a classic see and be seen place, truly an LA scene. The music is really loud, so catching up with friends is not all that conducive to the environment. The servers worked hard to make our experience positive. My guest peppered the waiter with question after question while he patiently explained each dish. They made good recommendations, including the Carne Asada that was truly fabulous. The Street Corn shaved off the cobb is a great side. The drinks were fun and creative, very tasty cocktails for sure. 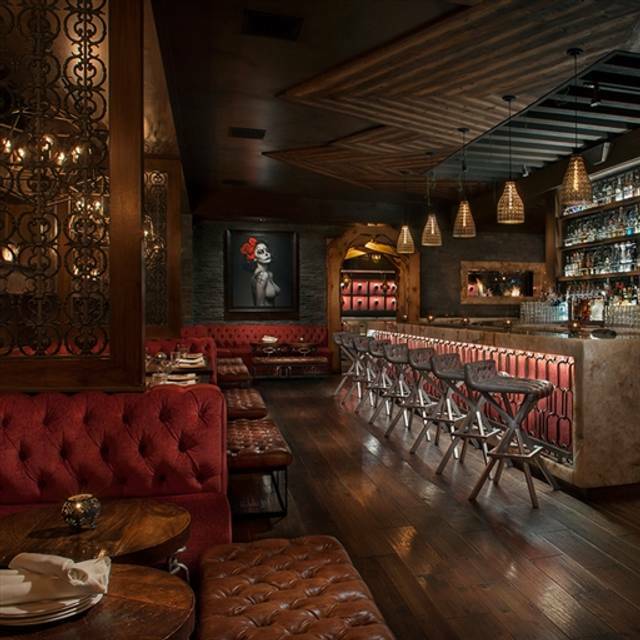 People party hard at this restaurant, so be prepared for the scene or don't dine at Toca Madera. 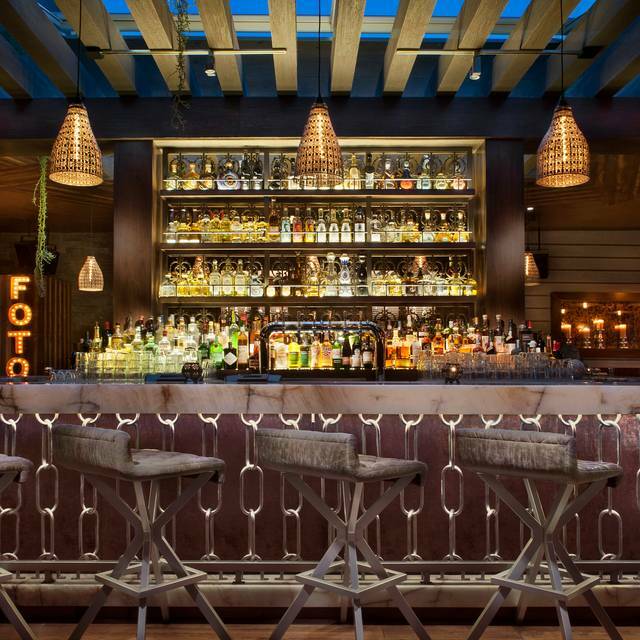 Toca Madera is a fun, vibrant restaurant and bar with great food and service. The team made us feel really welcome, there are some awesome cocktails and the food is great. I have a gluten allergy (Celiac) and the staff provided comprehensive information about the menu and possible cross-contamination risks to allow me to make an informed choice. Birthday !!!! I enjoyed the ambiance and will go back. TOO LOUD. You cannot even hold a conversation.